Made a couple of new pages. On the first I used pictures of fireworks that I had taken years ago. I color shifted them in GrafX2 (just because I wanted to mess around with that program). Then I assembled them into animated GIF images in GIMP. I like how the images of fireworks kind of take on the look of small organisms under a microscope. The long exposure time of the photos causes trails of light that resemble little flagellum. The second I animated using CSS keyframes. The image comes from a book called Illustrator's Figure Reference Manual, which is filled with all sorts of cheesy poses by models. The book was published and 1987 and I found it at a thrift store. I traced the image in Inkscape. I've had some time to mess around with web and design stuff this week since I've been on vacation. 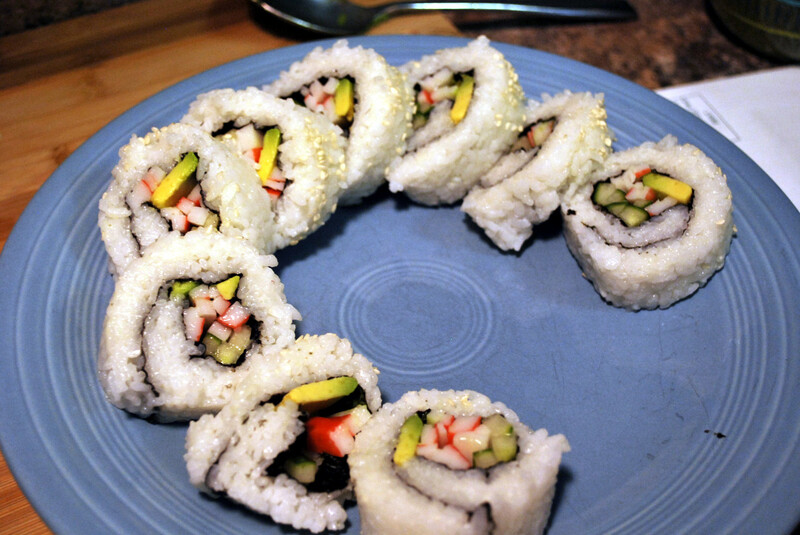 My wife and I made sushi . 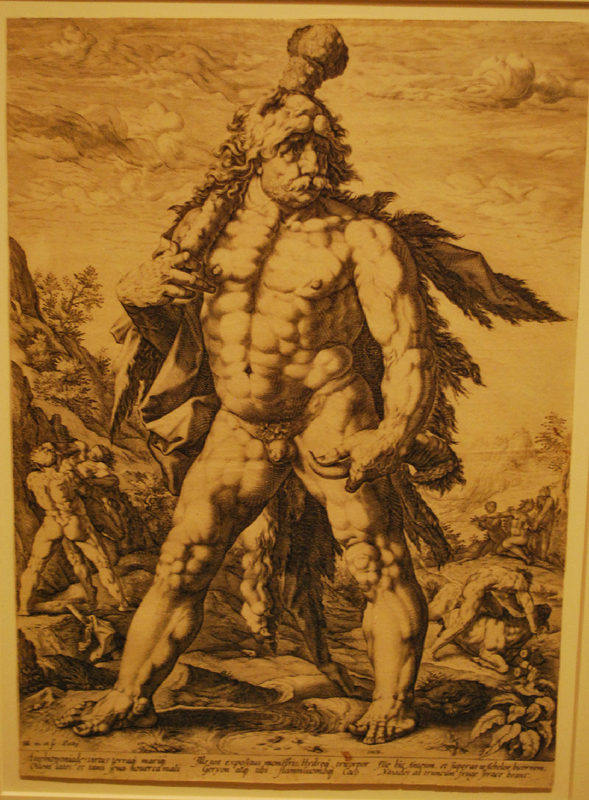 . .
and went to the Nelson museum where I saw this exceedingly ripped Hercules.